This article sets out the development of planning in the Island of Jersey. Town Planning in Jersey had obscure beginnings, and took some of its cues from the UK. The uncontrolled growth of development in the island in the 1920s and 30s saw the establishment of the Protection of Amenities Law. However, the first Island Plan was not produced until 1962, and was followed by the Island Planning Law in 1964, which established the need for planning permission for any new development. Subsequently, a series of more detailed Island Plans were produced, in 1986, 2001 and 2011 (updated 2014), in response to increasing population and pressure on land resources. An Island Plan is intended to establish a spatial strategy, to show which areas of land are to be conserved, or used for agriculture, or for development such as housing. The 2011 Island Plan, updated in 2014, has a number of policies and objectives designed to protect the coastline, the countryside and landscapes of the island, and at the same time to provide for housing, commercial use and offices. It is a difficult balancing act. 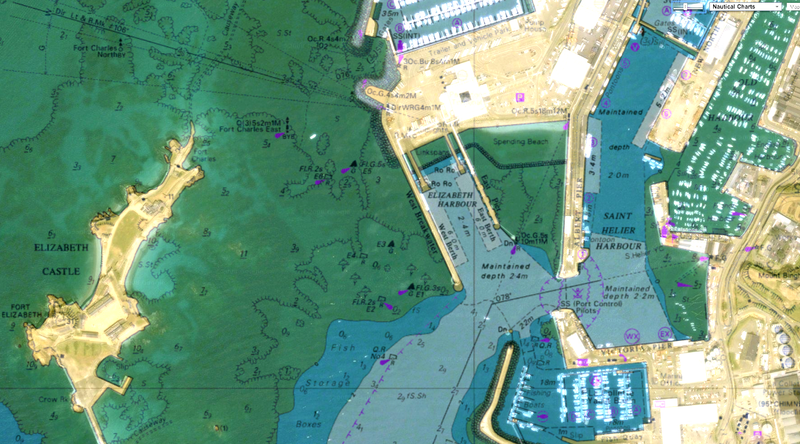 The reclamation of land from the sea, undertaken around St Helier’s harbour, much of which has already been developed for housing and commercial use, is an indication of the growing pressure on land resources. The earliest stage of planning appears to have begun in the 1930s, but there is little information about it. This was a time when development was increasing beyond the confines of St Helier. 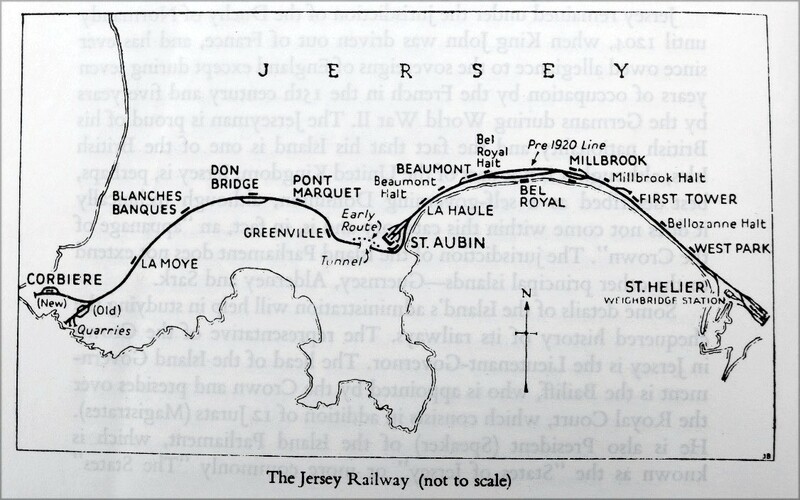 The establishment in the 1870s of railways east to Gorey, and west to St Brelade and Corbiere, had allowed easy access to the town. Development soon followed in St Clement and Grouville, along the coastal strip, and similarly along St Aubin’s Bay. In addition to the growth in the use of the motor car, the 1920s and 1930s saw suburbia extending into the countryside, with no proper controls to stop it. Article 1. This forbad the building of houses or buildings in the bays or on the cliffs and coasts of the island, or in a controlled zone. Article 2. The Health Committee was charged with the operation of the law. Article 3. All wishing to build in the limits set by the law, or in a controlled zone, were to apply to the Committee through the Constable, the application to be accompanied by plans, or description of all construction proposed, complying with the by-laws. Article 4. Before extending the control zone, the Health Committee must seek States approval. Article 5. The Committee must give reasons for its refusals and allow appeals. This vague law did not mention the countryside, and it is uncertain whether farmland was to be included in the controlled zone or not, as there was no definition of the zone, and no plan to accompany it, showing where the zones were located, so it must have been difficult to interpret the law in practical terms. This was a recipe for confused decision making. Nothing much happened in the following years, and the German Occupation in 1940 brought a halt to the process; numerous fortifications were constructed by the occupying forces, but of course the States had no say in the matter. The first minutes of what was then called the Comité des Beautés Naturelles were recorded in 1946, so there was a recognition that the protection of the natural environment was important. It took over the relevant duties of the Health Committee, but its minutes, in common with those of all States committees, are not made available to the public for one hundred years, so some educated guesswork is necessary to ascertain what sort of decisions were being made, and whether they were in line with stated principles and policies. During this time, it appears that permits were being granted for inappropriate developments totally out of keeping with their surroundings. Permits were also issued without time limit, an unfortunate omission as they tended to resurface years later, often for inappropriate buildings in the wrong place. For instance, at the base of Mont à la Brune, giving onto the sand dunes, now in the highly protected Coastal Park, permission was granted in 1947 for an estate of twelve dwellings. It was isolated and in a natural sand dune environment; no time limit was set on the permit. Work was started but not completed. The owner of the land came forward much later, claiming he had permission to build on the remaining plots. The Committee of the time would have prevented it had it been able, as it was a serious invasion of the sand dunes, but with an open ended permit not restricted in time, it was unable to resist. The growth of tourism post war saw the development of several tourist attractions along the coastal strip of St Ouen’s Bay in contravention of the principle to protect the coasts — it seemed that tourism was allowed to flourish at the expense of the environment. 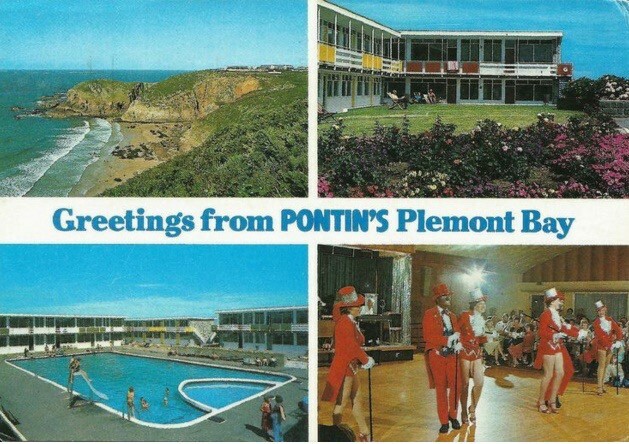 Plemont Holiday Camp was another example of post war tourist development in the wrong place. It replaced a smaller hotel with a much larger structure, and being set on the summit of a cliff, overwhelmed and obliterated the landscape. Again it was a decision contrary to the principle of protecting coastal areas. It was only through the efforts of the National Trust and the States of Jersey that the building was eventually removed and the area returned to nature. Les Monts, above Gorey, on the crest of a slope overlooking Grouville Bay. This was ‘Battery Brauchitsch’ which had four 10cm guns and anti-aircraft machine guns. This site was developed for a row of approximately seven substantial dwellings, in open countryside, and must have received approval from the relevant Committee. Westmount, the site of ‘Battery Seckt’, was developed for a hotel and housing on a prominent skyline site overlooking St Aubin’s Bay. ‘Battery Seydlitz’ in open farmland above La Haule was spread over an area of 1800 square metres with views across St Aubin’s Bay. Positions for four field guns had been constructed, with accommodation for 75 men. After the site was cleared, permission was given for two bungalows, which sit incongruously in the middle of an open field. La Maudeline Estate at the west end of Route Orange, where fifteen dwellings were built, had been the site of ‘Battery Ziethen’. It extends incongruously into the modern day Coastal National Park. The Battery had later been relocated to Parc de L’Oeillière, also intruding into the Coastal National Park, above La Pulente, where a number of luxury houses were built. Mont es Croix Estate had been the site of Coastal ‘Battery Roon’ with four large 22cm guns, which when cleared, was then developed for the estate on what was open heathland. 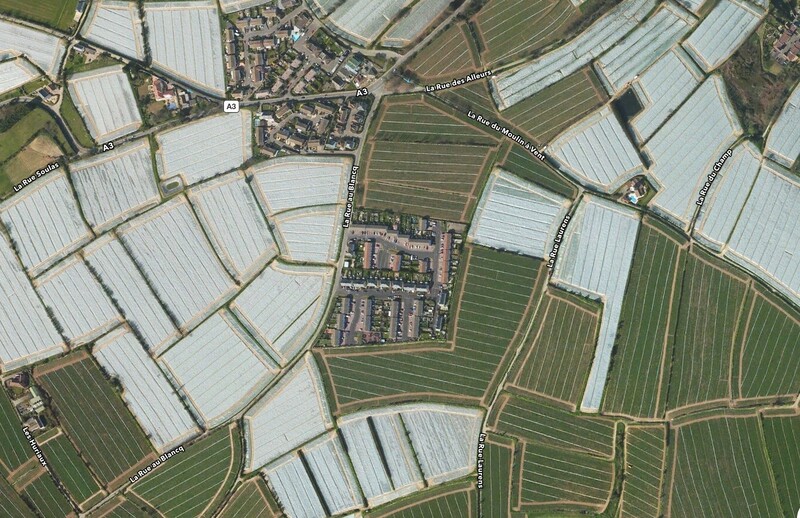 This was one of the largest and most incongruously suburban developments, undertaken presumably with the approval of the then Planning Committee, but totally inappropriate in its open countryside location, being sited as far away from any existing settlement as possible. It also presented other problems, as it was not near any main services, which would then have required connection at States expense. Similarly, Clos de Roncier Estate in St Clement, built on the site of a forced labour camp because of its isolated location, was the wrong place for a housing estate. There was a mains water supply, but no mains sewer. It had to be connected to the mains sewer some distance away at a later date, again at States expense. The use of former German military sites for development was not good planning. It must have been seen at the time as an easy expedient to deal with the growing need for housing, but it totally ignored the agreed principles for controlling the island’s development and protecting its natural beauty. Post war planning by consecutive Committees must be seen as something of a disaster. This seems to be the first time ‘planning’ was mentioned. A committee of the States, again to be named the Natural Beauties Committee, was constituted to exercise the powers conferred, and was empowered to prepare plans to control any part of the island, and to prepare a policy for the protection and enhancement of the natural beauties of the island. This was to include the encouragement of tree planting and the protection of buildings of aesthetic and historic interest. Whether any plans were ever prepared in the exercise of these powers is not known. The Committee was to have regard to the beauty of the landscape, the aspect of the island from the land or sea, the amenities of the locality, the desirability of keeping the coasts in their natural state, and of preventing the industrialisation of residential areas, plus the suitability of any land for agricultural purposes, and the economic and social needs of the locality or of the island. They could refuse consent for the erection of any buildings considered to be detrimental. This was an inspired statement of intent. The protection of landscape and countryside was placed at the top of the agenda, and any proposed buildings or development which threatened the environment were to be refused. This must have been how the statement was to be read. Previous objectives for protecting the beauty of the island were being repeated in more detail, but they do not appear to have been put fully into practice by successive planning committees. There was no Planning Department until 1964, so planning advice prior to that date was presumably obtained from the Health Department. It is possible to glean some information as to the workings of the Committee from the local press. In 1956 the Natural Beauties Committee, whose President was Deputy Farley, actually proposed the building of a new town in St Ouen’s Bay! On what basis this was being proposed is not known, but in planning terms it was not a good idea. It was probably the furthest distance from St Helier possible, bore no relationship to the rest of the island, drainage would have been a problem, and the natural beauty of the bay, which the Committee was supposed to protect, would have been seriously compromised. Any new town must have industry or commerce linked to it to provide employment, but there were no such amenities in the vicinity — the nearest large employer was the airport, which was closer to the more established settlement of Quennevais in St Brelade. Therefore the proposed new town would have become a dormitory town involving a long drive into work in St Helier. The idea probably came from The New Towns Act 1946 in the UK, where new towns were built to take population overspill from large cities. In March 1956 the proposition was put to the States for debate to build the new town, and it was fully reported on the front page of the Evening Post. During the debate, Senator Le Marquand opposed the proposal for a new town, but proposed an equally bizarre idea that landowners be allowed to build what they wanted in the bay. The only wise head was Deputy J. Le Marquand of St Ouen, who proposed that the bay be left in its natural state, for which he was criticised in a Jersey Evening Post leader. Thankfully, in the event, the New Town idea was rejected. However, Senator Le Marquand’s proposal to allow any development was approved, which probably accounts for some odd bits of building in the north end of the bay, four houses built in a row on a narrow strip field being the oddest. There was also mention of a St Ouen’s Bay Preservation Group — a hint of an interest in the conservation of the area in its natural state, although even it was persuaded that some building should be allowed. It was not until 1961 that an up-to-date Development Plan was approved by the States. The plan was prepared by town planner W.H. 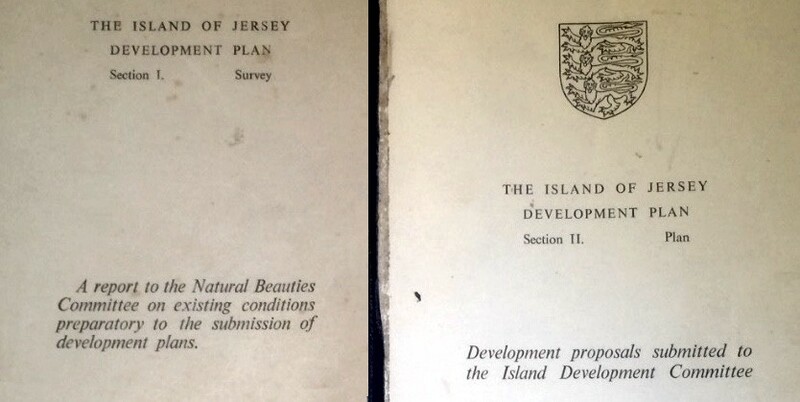 Barrett, and in 1962 it became the Island of Jersey Development Plan, also known as the ‘Barrett Plan’. Here finally was a written document offering a rational and comprehensive survey of land use, housing stock and traffic, and a plan which indicated which areas were to be protected from development because of their landscape value, and those which were to be zoned for particular forms of development such as housing, commercial use and offices. Importantly it was accompanied by maps of the island and the town, showing the landscape and countryside zones which were to be protected, and areas to be zoned for housing, industry, and run down areas of the town that were to be redeveloped. The plan was intended to cover long term development over at least a twenty year period — which had its own pitfalls, because some parts of the plan would be successful, and others would not. Initially Barrett described regrettable aspects of existing development in the island, such as ribbon development, buildings squeezed between the road and coastline, groups of houses which are unrelated, isolated dwellings without regard to the surroundings, mostly the result of non-planning. The Plan was backed up by the introduction of the Island Planning (Jersey) Law in 1964. This established that the permission of the Committee was needed in respect of the development of any land, more specifically the carrying out of building or engineering works. 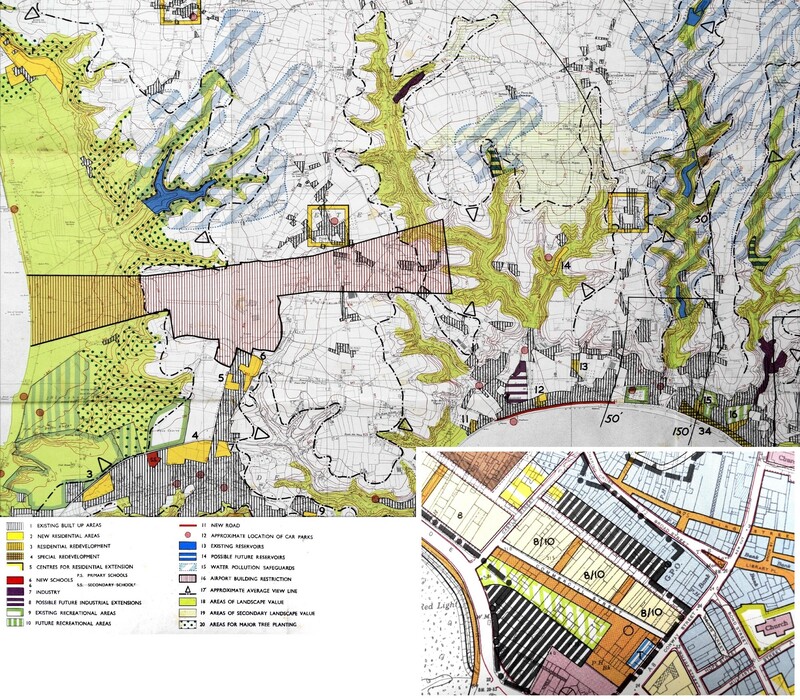 The main proposals were: areas of landscape value, the coastal zone, much of St Ouen’s Bay, heathland, and woodland were to be preserved in perpetuity. This was later to become the Green Zone. Building was to be prohibited in this zone, and to be restricted to farming needs in the remaining part of the countryside. The Plan indicated tree planting to be undertaken in various locations. Part of the 1962 island map (top) and town map. Land at Rue des Pres, Longueville, was proposed to be zoned for an industrial estate, so that existing industries could be relocated from the town, and new ones introduced. This estate is a success, and well established, but it came to be used mainly by service industries such as building supplies. An important part of the plan was housing provision. It was calculated that the minimum number of dwellings required during the period of the Plan would be 2,200. Housing need was difficult to forecast as the population was growing, and the number of persons per household was declining. In the event, 6000 dwellings were built in half the timescale of the plan. Some of the sites selected were on the outskirts of the town at Bagot, Le Squez and Elysée, and in the west at Quennevais, where some 300 houses were proposed, and eventually built. Although shops and schools were included, Quennevais was more of a dormitory for St Helier, which meant that commuting by car was inevitable. 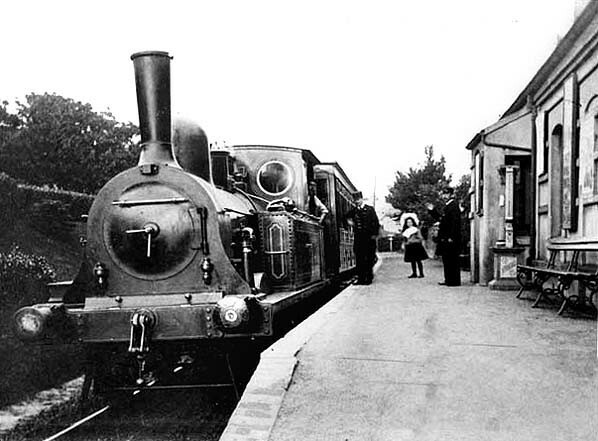 In 1936 the Island Railway running from Corbière to St Helier had ceased operation, due to a fire at the St Aubin’s Station, and to competition from bus transport, which was more flexible, cheaper and attracted more passengers. Had (for instance) buses been licenced to provide a feeder service only, the railway might have survived. As it took only eight minutes from Quennevais to town, it would now be a great asset to deal with commuter transport. 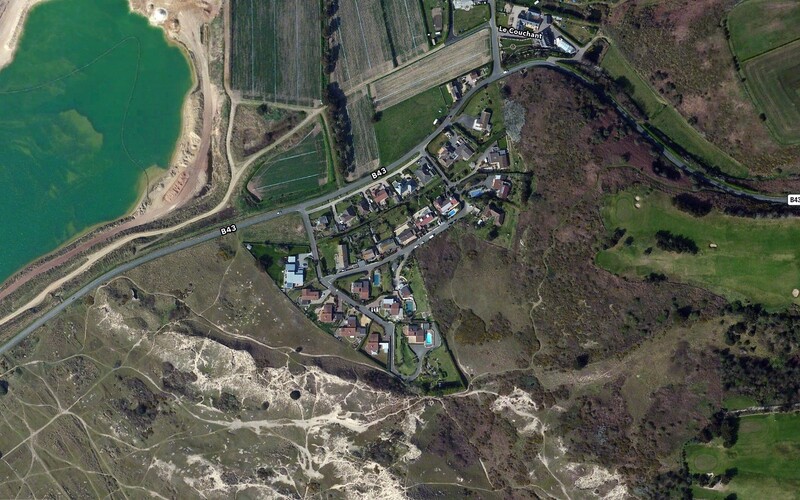 Other areas which were wrongly zoned for housing included land at Corbière overlooking Petit Port Bay, where 30 houses were proposed, in St Brelade’s bay, where 140 flats were proposed, and at Chemin de Moulin, at the north end of St Ouen’s Bay. These are now within areas of recognised landscape value, and included in the Coastal National Park, so it is fortunate that these plans were not proceeded with. Thus, errors of judgement were being made during the formulation of the Plan. The growth of motor traffic was already causing problems of congestion especially through the town, and at the west end of Victoria Avenue. The plan was to form a tunnel under Fort Regent, so that traffic from the east did not have to go through the town, and to make into pedestrian areas King Street, Queen Street and adjacent streets, which had been the main east/west through-route up to this time. The tunnel was built, and although there was opposition from shop owners who believed they would lose business if cars could not park outside their shops, the pedestrian areas were formed. Both these proposals have proved to be a success. However, the protection of the countryside — ‘white land’ — was undermined by a policy of allowing infilling of development resulting in further invasion of rural areas. The plan to extend Victoria Avenue along the front westwards towards Beaumont, which would have reduced congestion, did not succeed however, probably because it would have been too close to existing residential property. A good alternative route was proposed north of the St Aubin’s Road, connecting the foot of Beaumont Hill with the entrance to St Peter’s Valley, at Bel Royal. It is not known why, but this was not proceeded with either. There is a brief reference to the preservation of sites of historic and special interest. Very few sites were initially in the listing. 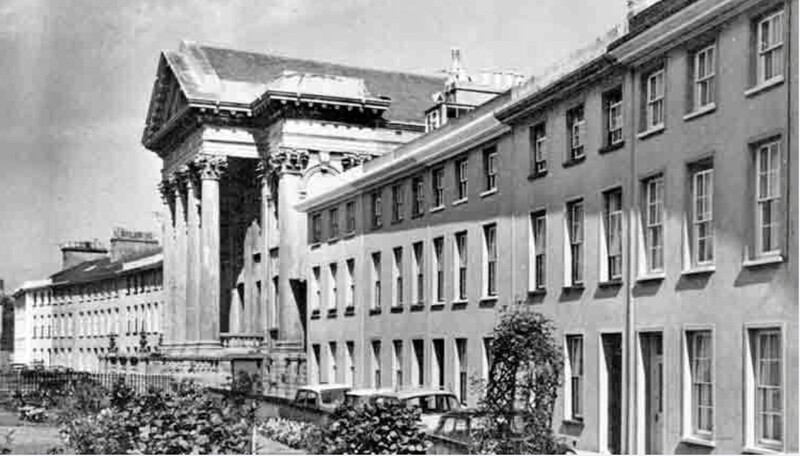 It was a slow process, and a number of buildings were demolished or replaced before they could be listed, an example of which is the demolition of the church at the centre of the Royal Crescent, which destroyed its architectural unity. Proposals for the town of St Helier included the replacement of substandard dwellings and slum clearance, designated as Redevelopment Areas and Special Development Areas. These were to be mainly for commercial use. The main redevelopment area was to be around Great Union Road, and as far as Union Street. It was proposed that Columbus St and Albert St be replaced with a public open space. These proposals were being made at a time when in the UK large areas of slums and poor quality housing were being demolished to be replaced by modern blocks of flats — then known as ‘bulldozer’ planning. This was not always successful, as often the new blocks, quickly built, upset the social cohesion of communities. Many became run down themselves, were demolished, and going full circle, were replaced with terraced, or semi-detached housing. In the case of Columbus and Albert Street, most of the houses were in a reasonable condition, and have been renovated over time, to provide good, much needed accommodation. The main Special Redevelopment Area comprised land extending from Conway St to Gloucester St, a mix of commercial, warehousing and sub-standard housing, which included the disused Abbatoir, also known as ‘The Island Site’. Barrett proposed that flats and hotels be located along the Esplanade and Commercial St, and that the Abbatoir site be redeveloped as a central covered transport and bus terminal, even though this would have meant the demolition of the existing attractive granite structures and curtain walls. It took many more years before it was redeveloped as a transport centre. Fortunately the granite structures were retained. It was also proposed that what is now Liberation Square be used for car parking. This was fortunately not proceeded with, but the need for parking in the town was increasing, and was resolved to a certain extent by the construction of multi-storey parks at Pier Rd and Green Street. The land to the north of The Esplanade was not developed as planned, since the proposed service road between Castle St and Conway St was never realised, making redevelopment of the area much more difficult. Barrett emphasised that over the twenty year period of the Plan, it had to be flexible, and allow for revisions as circumstances changed. What was achieved was the zoning of land for particular purposes for the first time, the establishment of an industrial estate, the improvement of traffic flow with the construction of a tunnel beneath Fort Regent, the establishment of pedestrian shopping streets in the town, and the protection of the countryside from development. It was over twenty years before another Island Plan was produced. The 1986 Plan covered a much wider range of issues than previously, and introduce new policies and objectives. However, in the meantime, development of a different nature was taking place which had not been proposed in any of the Island Plans. Land reclamation was undertaken at la Collette, to the south of St Helier harbour, where gas storage was relocated, together with a fuel farm. The site was rapidly filled with sea dredged sand, but did not take into account the increasing amount of inert waste being produced. To deal with this, another reclamation site west of the Albert Quay was formed, but this resolved the problem only temporarily. When it was filled, it was renamed the Waterfront. It now comprises a mix of flats, a hotel, a cinema complex, and other businesses, and has about 9000 people living there. Another reclamation area was soon required to deal with inert waste, and a large area was allocated south of the existing La Collette site which is currently being filled, but that is also running out of space. This shows that an island Plan is required at ten year intervals if not sooner, to deal with new and unexpected challenges in an increasingly prosperous community. In the broader, more detailed Island Plan of 1986, the importance of the countryside and its protection was emphasized, and was included in the first chapter. Three zones were proposed, the Green Zone, the Green backdrop Zone, and the Agricultural Priority Zone, within which development was restricted, and where the landscape had to be the dominant feature. Conservation and enhancement of the countryside and coastal areas, and protection of woodland, heathland, wetland, green lanes and even scrubland was stressed. Sites of Special Interest were to be given more status and protection, and this included a variety of sites such as sand dunes, dolmens and buildings of architectural or historic interest. Conservation Areas were proposed to include historic groups of buildings such as Gorey Castle and its old village, but were never formalised. New residential development was to be directed to the existing built up area, and to ‘villages’. In all cases designs for housing schemes would have to demonstrate economy in the use of land. A number of sites in and around the town were zoned for housing, and a smaller number outside, but this did not reduce the relentless pressure for more housing sites. It was not long before additional sites had to be found and rezoned for housing, one such being Sidney Crill Park in St Clement, which had been part of the Agricultural Priority Zone, and where over 40 dwellings were built. With regard to the economy, the Plan indicated its support for tourism as one of its mainstays, and the provision of adequate hotel and self-catering accommodation; however, tourism was already showing signs of decline. Hotels and guest houses were being converted to housing. The growing sector of the economy was finance, and the need for new offices. In the Plan some 40,000 square feet of space for offices would be required each year, by refurbishment of existing buildings, and by new construction. This has been ongoing. Formulating future proposals for a wide range of environmental subjects from conservation of the countryside to future housing provision, shopping, traffic management, supply of services, and then implementing them over a ten of twenty year period, is a major exercise. Some projects will succeed, and some will fall by the wayside. The proposed use of the Gasworks site for car parking and industry was overtaken by a State’s decision to use the land for a public park, and latterly part of it for housing. The Esplanade and land reaching back to Broad Street were identified as an office opportunity area, and much of it has been developed for that purpose. Improvements to traffic circulation with roundabouts at Rouge Bouillon, and the east end of the tunnel were also implemented. Review of the Island Plan began in 1997, and was backed by the 1996 Environmental Charter, in which The States agreed to promote the conservation and sustainable use of resources. This resulted in the comprehensive re-examination of data and issues underpinning planning in Jersey, and a new 2001 Island Plan. • sustainability, so the environment be passed on in as good or better condition than today. • the best possible balance to the economy, and maintenance of a good quality of life. • protection of the special qualities of the countryside and marine environment. • protection for areas and buildings of historic or architectural character, open space, and aim for a quality urban environment. • meeting housing needs whilst avoiding development in the countryside. • addressing the need for education, office, commercial and shopping. The vision for Jersey was to guide development for a ten year period and beyond, and to strive to define how Jersey should look and feel in the future. The Spatial Strategy recognised the problem of competing demands in the island within the limited space available, by the integration of new development stitched into the existing built up area, by making use of land which have previously been developed, in preference to using green field sites, by good access to public transport, and minimising environmental impacts. During the period of the plan, but again not included in it, a further and larger reclamation area south of La Collette fuel farm was constructed to deal with increasing amounts of inert waste, part of which was soon to be used for commercial storage. The Environmental Impact strategy, aiming to protect landscape and agricultural areas, seems not to have been applied in certain cases during this time. For instance, the development of apartment blocks at Portelet, which overwhelm a sensitive coastal area in the Green Zone, attracted much criticism. Similarly, a large house was permitted above the cliffs at La Coupe, St Martin, within feet of the coast, in place of a low lying inconspicuous bungalow which had much less impact on the coastal zone. Aside from the continuing issue of countryside versus urbanisation, the Plan identified industrial, commercial, shopping and recreation sites. It saw traffic as a growing problem with the increase in the number of cars in the island, and indicated the need for alternative means of transport such as cycling, public transport and improvement to the existing road network. Waste disposal, even with the new reclamation site, was seen as in need of resolution, with the requirement for additional sites, and a new incinerator. This plan deals with much the same issues as previous plans, but goes into more detail, and places greater emphasis on the natural environment, and its protection. It proposes a greater number of strategies, objectives, and policies to determine how land is used over the Plan period. The main focus is on: sustainable development, protection of the environment, economic growth and diversification, travel and transport, and limitation of population growth. Sustainable development is seen in a global context — to reduce the impact on climate change by reducing the demand for energy, travel, and materials. To this end the Town of St Helier with its built-up area is seen as the optimum location for housing development, thus reducing demand for travel to work, and protecting the countryside. However, the Plan does not rule out development of brownfield and even some green zone sites where necessary. This again unfortunately recognises the incessant demand for new housing. The section on Protection of the Environment sets out how the island’s unique identity and the character of its natural and historic environment should be protected. With one of the highest densities of development in Europe, the prevention of the further suburbanisation of the island is seen as essential, but whether it will be achieved or not, hangs in the balance. 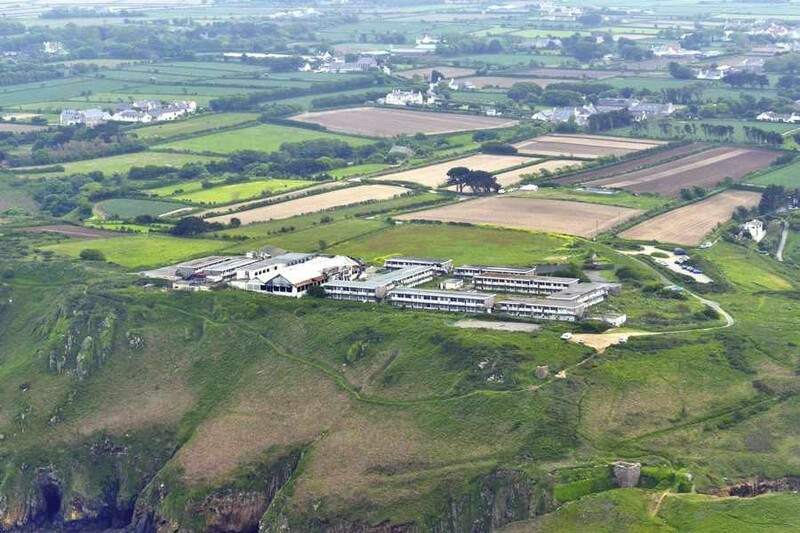 Economic Growth and Diversification sets out to protect sufficient land to support the growth of the Island’s economy. This is the dilemma of the Plan, because the growth of the economy has, and is, the cause of the tremendous pressure on the environment, with the increase of population from 60,000 in 1960 to a current population of 100,000. There seems to be no formula for maintaining a balance between a healthy economy and a reasonable level of population, so that the environment is properly protected. Some thirty years ago, the Port of St Helier was extended to form Elizabeth Harbour to the west. It is now described as ageing and inefficient, requiring deeper water and relocation to La Collette. It is unfortunate that this was not foreseen as millions have been spent on the existing facilities. The strategic policy on Travel and Transport sets out how the planning system can help reduce the dependence on the use of the car. With the road system under some strain, would the formation of an additional road from Bel Royal to Beaumont as suggested by Barrett be revisited? Would the more expensive, but possibly eventually essential formation of a light rail system from St Helier to St Brelade and the Airport be considered? Planning in Jersey has taken a difficult but eventually logical path to deal with the rapid growth of population and building development during the 20th and early 21st Centuries. Planning was a new subject, which took time to establish policies to protect the environment, and mistakes and bad decisions were made. Much has been achieved, however, in that the countryside and coasts have largely been protected, and new development confined to existing built up areas.